Consider this my public comment to the Securities and Exchange Commission (SEC) on a proposed bitcoin ETF. The idea of packaging bitcoin into an ETF is creating something of a frenzy and the SEC is currently seeking feedback on Cboe’s pitch to list and trade the VanEck SolidX Bitcoin Trust. The first bitcoin ETF filing was submitted to the SEC by the Winklevoss twins (yes, the Facebook guys) all the way back in July 2013. Two weeks ago, the Winklevoss Bitcoin Trust (COIN) was again rejected. 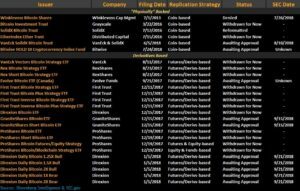 Despite 5+ years and 26 total filings, still no bitcoin ETF. Now, to be clear, I have no problem with the SEC allowing these products. All three functioned exactly the way they were supposed to. While the investment industry can no doubt do a better job educating investors, risks were clearly spelled out in various disclosures and prospectuses. Best we can tell, there was nothing nefarious going on behind the scenes. At the end of the day, every investor has an obligation to know what they own. It’s not the SEC’s job to decide for investors what is a good or bad investment. That’s not what the government is tasked with doing and given the SEC approved these products, they seem to agree. So why is bitcoin being treated differently? I find it a bit ironic that if you read bitcoin founder(s) Satoshi Nakamoto’s original white paper, the entire basis of bitcoin itself is to prevent fraud (double spending) and manipulation (hacking). 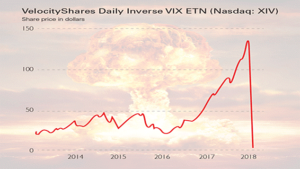 Amusingly, following the volatility spike and subsequent XIV blow-up in February, guess what was alleged surrounding volatility (VIX) trading? Manipulation! And that’s not a new claim. Here’s the deal. The fact is people are investing/trading/speculating in bitcoin. There are more Coinbase users than Charles Schwab brokerage accounts. I’ve heard the argument that putting bitcoin in an ETF wrapper doesn’t make it any safer. That’s correct. The price of bitcoin will move based on underlying market dynamics, supply, and demand – just like tripled levered biotech shares, natural gas, or an inverse volatility play. However, an ETF wrapper can offer some protections as it relates to the overall bitcoin investor experience. For example, an estimated 4 million bitcoin are already lost or likely lost. Bitcoin requires a private key. Lose that private key and you’re out of luck. If your bitcoin is held on an exchange, there exists the possibility the exchange could be hacked and your coins stolen. A bitcoin ETF mitigates these issues. The Solid X VanEck Bitcoin Trust would “secure bitcoin using multi-signature cold storage wallets”, “utilize bitcoin private keys that are generated and stored on air-gapped computers”, and “for backup and disaster recovery purposes, the Trust will maintain cold storage wallet backups in locations geographically distributed throughout the United States”. Furthermore, the Trust would insure against the loss or theft of bitcoin held. As an ETF owner, you wouldn’t have to worry about losing your private key or having your exchange hacked. From the SEC’s perspective, this strikes me as offering greater protection for investors – not less. Innovation. I also think a decent chunk of investors find it preferable owning bitcoin through a regulated brokerage like Charles Schwab. Not everyone feels comfortable setting-up a digital wallet or transferring money to a crypto exchange they may be unfamiliar with. Tax reporting, trading, custody – all in the light of day. I would think the SEC would welcome that. I know some crypto enthusiasts believe it’s incongruent that something designed to remove third party intermediaries (bitcoin) would be put in an ETF wrapper overseen by third party intermediaries. Well, sure – and if you don’t want those third parties involved, go through the hassle of buying and storing the underlying bitcoin on your own. Just like with gold or silver. But an ETF wrapper offers convenience. Innovation. As it turns out, there already exists a product offering exposure to bitcoin – the Grayscale Bitcoin Investment Trust. This product is NOT registered with the SEC, but the SEC does allow it to trade Over-the-Counter (OTC) under the ticker GBTC. It currently has over $1.5 billion invested in it. But here’s the kicker: it currently trades at a 30%+ premium! In other words, investors are paying 30% more than what the underlying bitcoin is worth. An ETF’s arbitrage mechanism would eliminate most, if not all, of that gap. Sounds like better protection for investors. Innovation. The SEC’s stated mission is “to protect investors, maintain fair, orderly, and efficient markets, and facilitate capital formation.” Putting bitcoin in an ETF wrapper would help achieve all of these. Note the SEC’s mission is not to determine what is or isn’t a good investment. Argument: bitcoin isn’t real; it’s simply based on trust. Rebuttal: Hello, so is every other currency. Ask the people of Venezuela. Next. Argument: bitcoin is used for criminal activity – drugs, money laundering, etc. Rebuttal: so is cash and see Morgan, J.P. Next. Argument: bitcoin uses too much electricity. 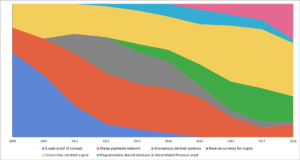 Rebuttal: bitcoin uses less electricity than the 3.5 million ATMs that exist in the world. Next. Argument: Nobody is actually transacting in bitcoin – you can’t pay for your Starbucks latte with bitcoin. Rebuttal: When was the last time you saw someone pay for their latte using gold coins? Next. Argument: bitcoin is just speculative. Speaking of gold, the case for a bitcoin ETF is essentially the same as for physical gold ETFs such as the SPDR Gold Shares (GLD). Convenience in buying/selling, storing, securing, insuring, etc. Many of the arguments you can levy against bitcoin can be made against gold – namely, that most of gold’s value is derived from what other investors are willing to pay for it. The greater fool theory. Look, I like gold. I’m just saying let’s be consistent here. The predominant narrative surrounding bitcoin right now is that it is digital gold. I could go on with the arguments/counterarguments, but it doesn’t matter. The bottom line is you may or may not believe in bitcoin, gold, biotech stocks, the VIX, whatever. That’s your call, not the SEC’s. There is $120 billion currently in bitcoin. I would think the SEC would prefer to have investors operate in the light of day, on regulated exchanges, as opposed to in the shadows. An ETF is simply a wrapper – one that democratizes access, offers transparency, and convenience. There is currently an exchange traded note (ETN), the XBT Bitcoin Tracker One, which has traded on NASDAQ/OMX in Stockholm since 2015 without issue. The model has already been shown to work.